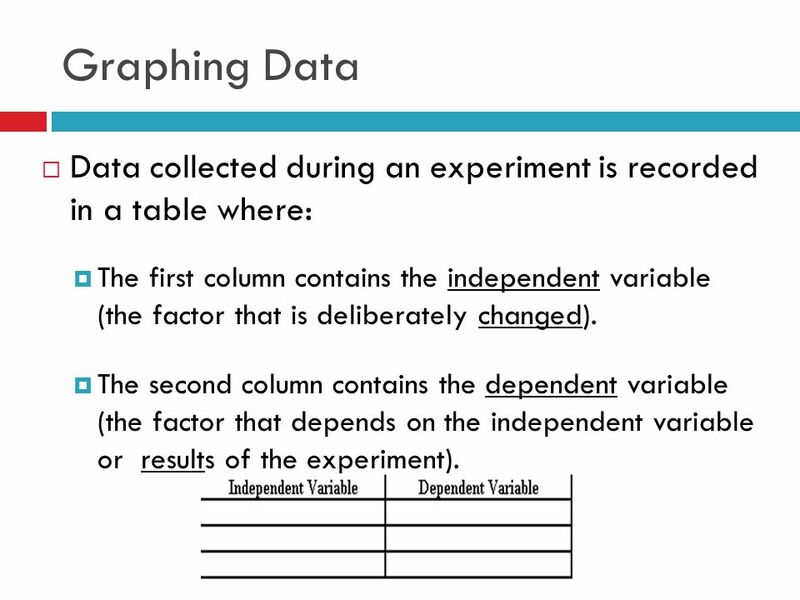 3 Graphing Data Data collected during an experiment is recorded in a table where: The first column contains the independent variable (the factor that is deliberately changed). The second column contains the dependent variable (the factor that depends on the independent variable or results of the experiment). 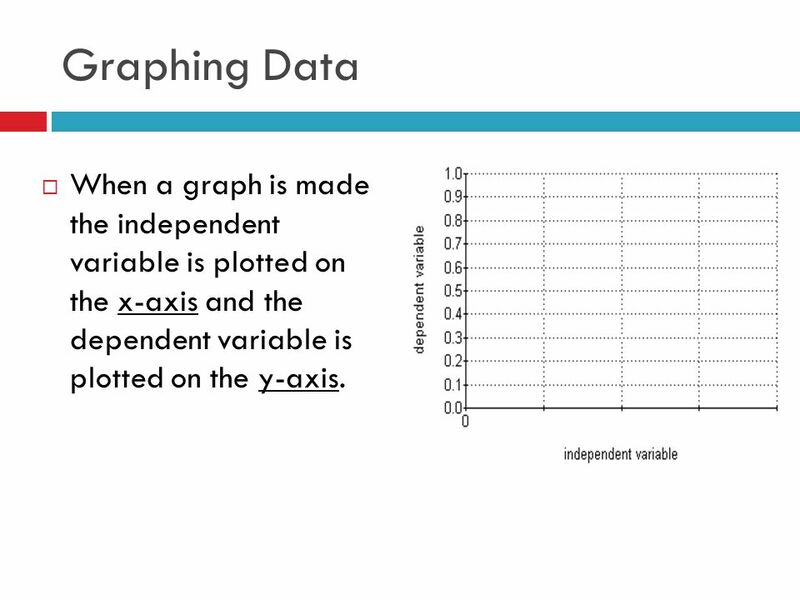 4 Graphing Data When a graph is made the independent variable is plotted on the x-axis and the dependent variable is plotted on the y-axis. 7 Did you…? Label each axis with a name, symbol, and unit? Give each axis with an appropriate scale? Record data points as a dot, with a small circle around it? Draw a line of best fit? Include a title? 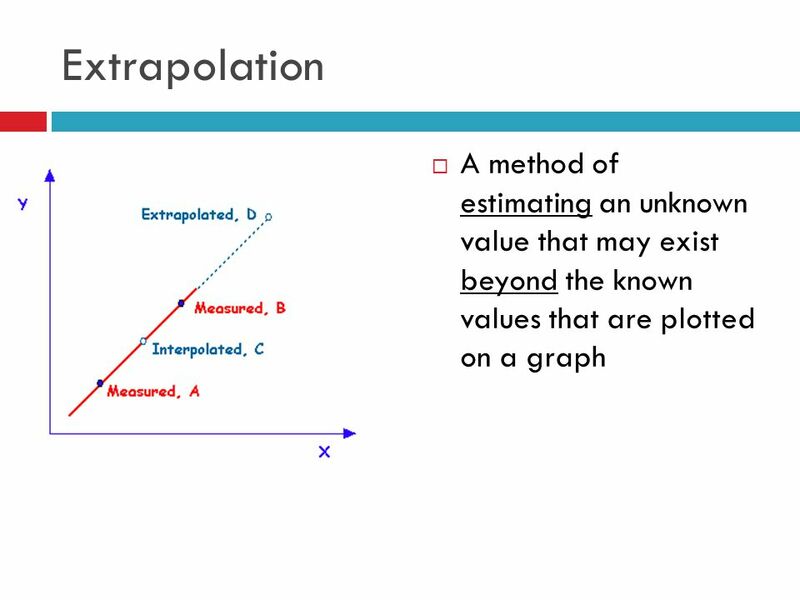 After data is collected, the graph is then analyzed. 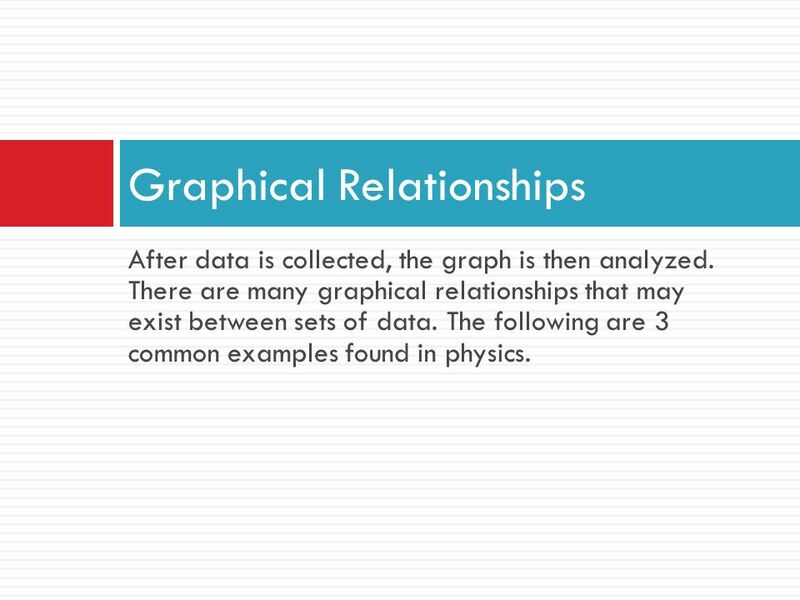 There are many graphical relationships that may exist between sets of data. The following are 3 common examples found in physics. 9 1. 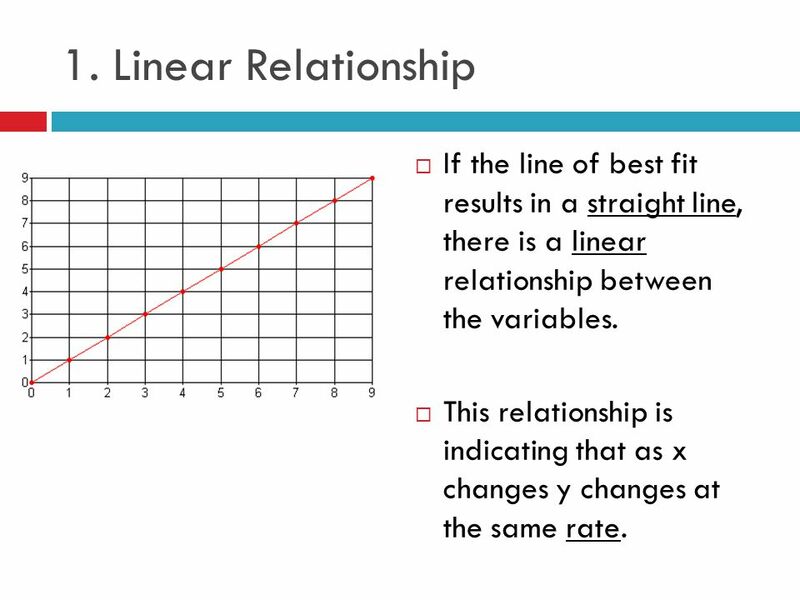 Linear Relationship If the line of best fit results in a straight line, there is a linear relationship between the variables. 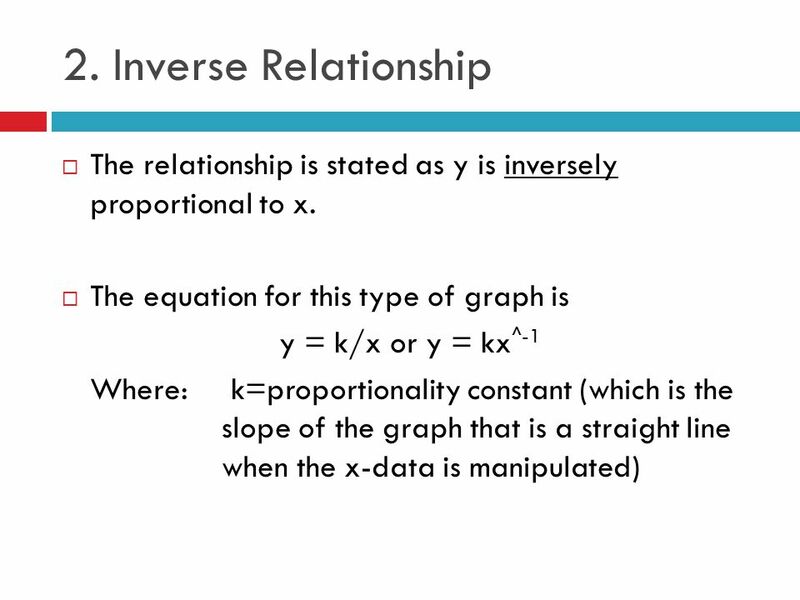 This relationship is indicating that as x changes y changes at the same rate. 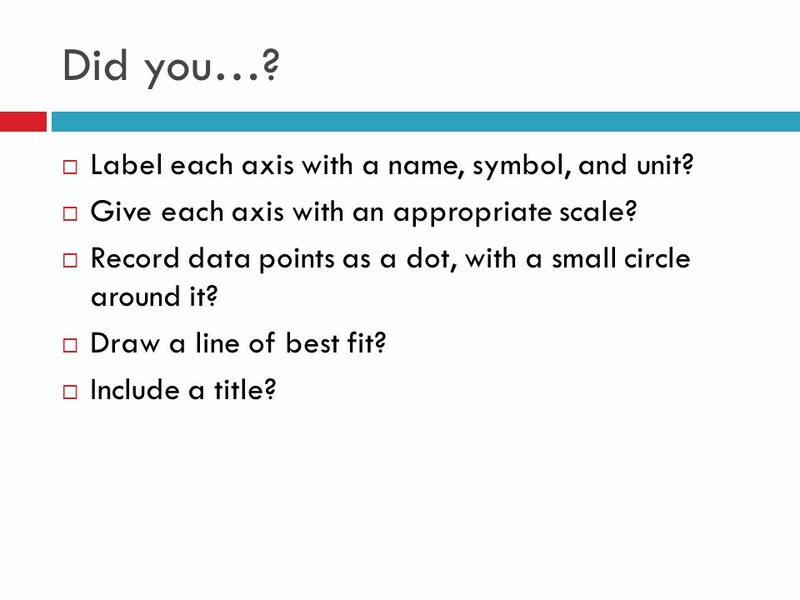 11 Don’t forget to include units! 1. 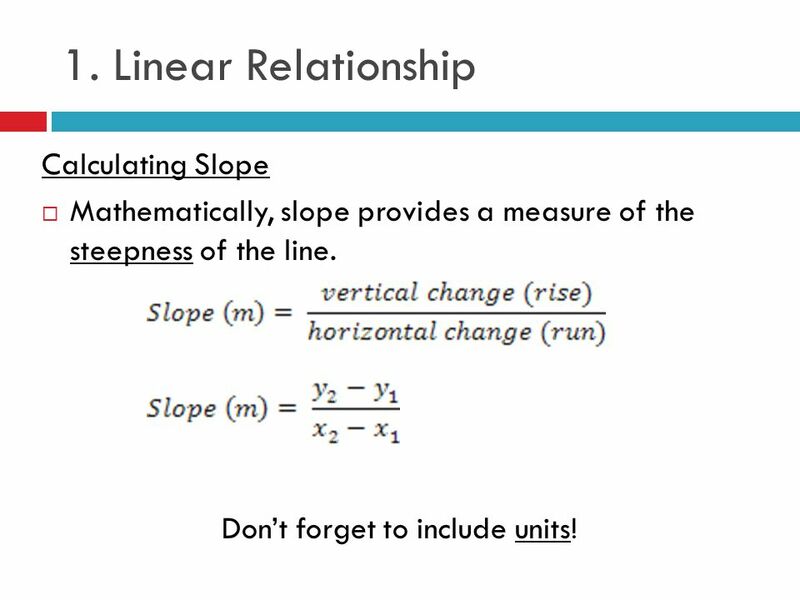 Linear Relationship Calculating Slope Mathematically, slope provides a measure of the steepness of the line. Don’t forget to include units! 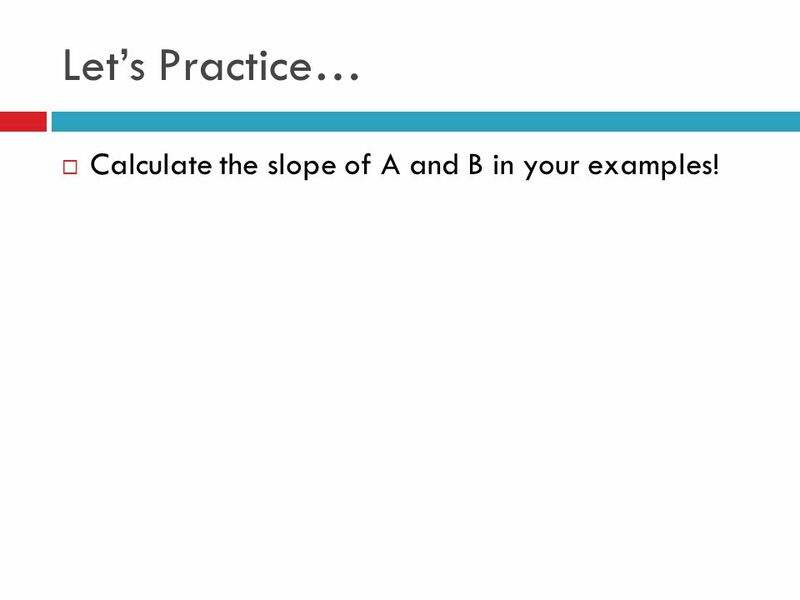 12 Let’s Practice… Calculate the slope of A and B in your examples! 13 2. 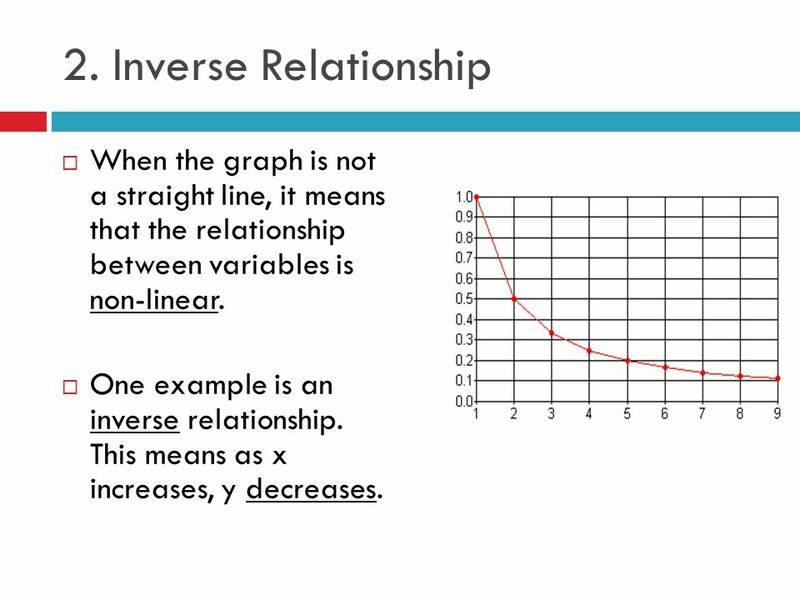 Inverse Relationship When the graph is not a straight line, it means that the relationship between variables is non-linear. One example is an inverse relationship. This means as x increases, y decreases. 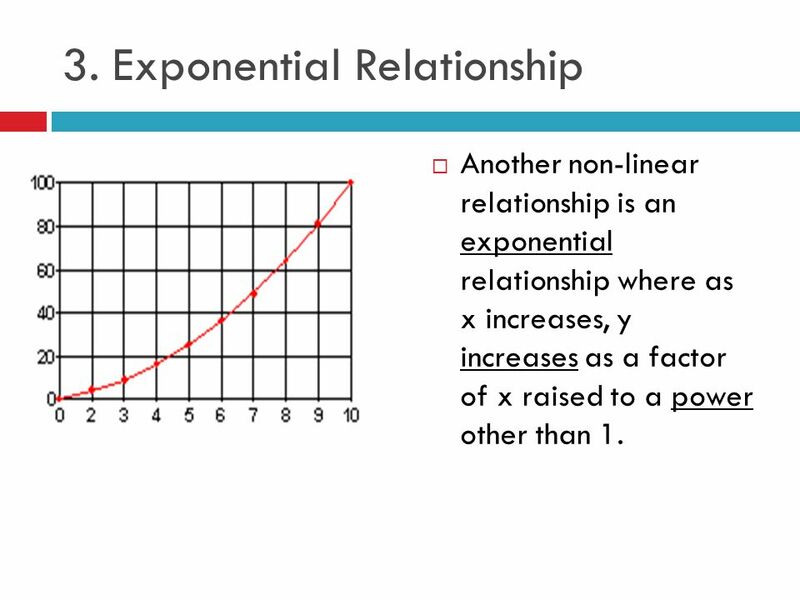 Another non-linear relationship is an exponential relationship where as x increases, y increases as a factor of x raised to a power other than 1. 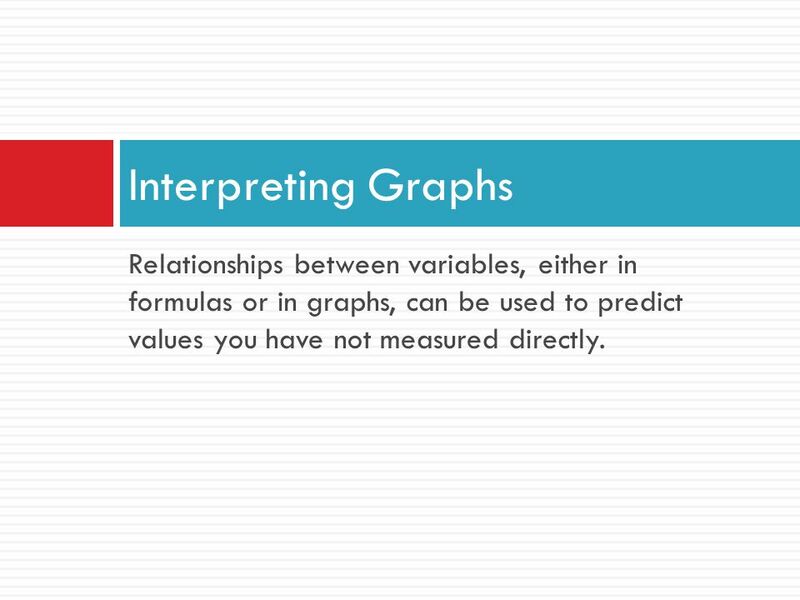 17 Interpreting Graphs Relationships between variables, either in formulas or in graphs, can be used to predict values you have not measured directly. 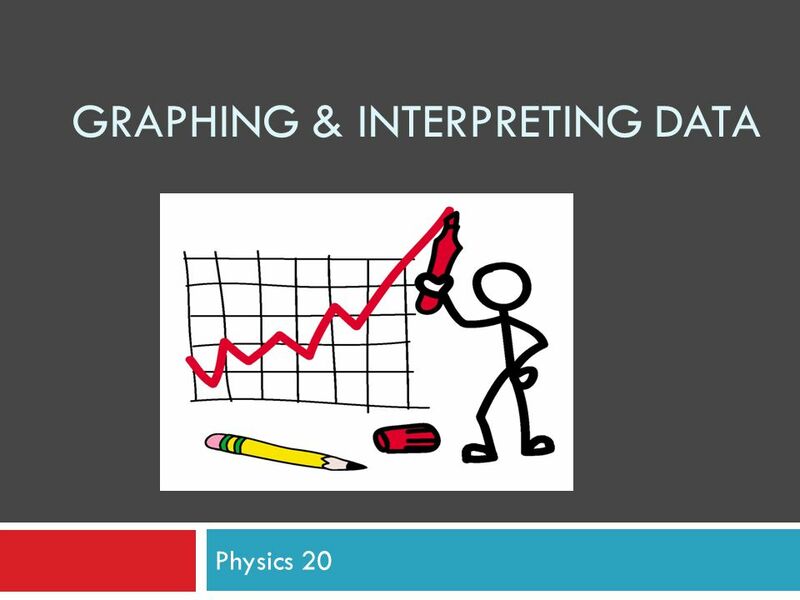 Download ppt "Graphing & Interpreting Data"
Graphing Section 1.3. Why use graphs? Graph- used to make data easier to read and understand- shows patterns and trends. Graphing. Representing numerical information in a picture. 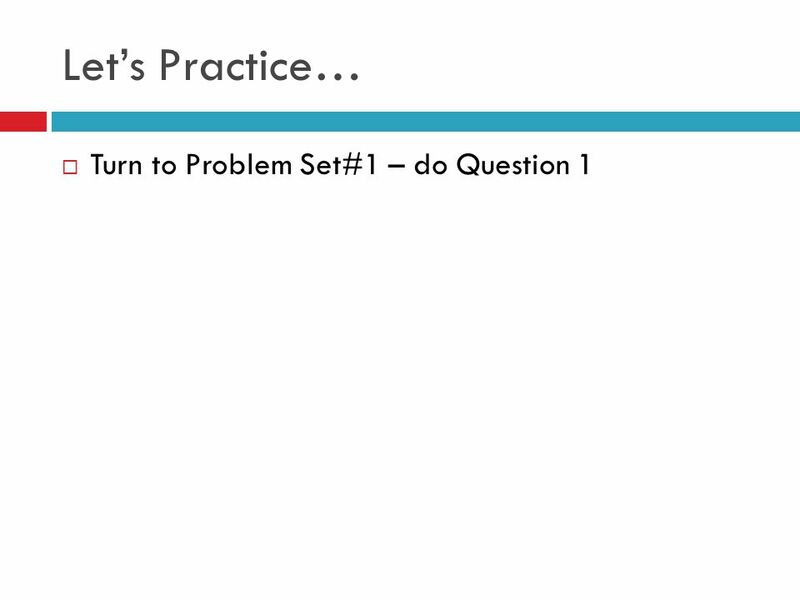 Graph shows a picture of a relationship -how two processes relate -what happens when two events. 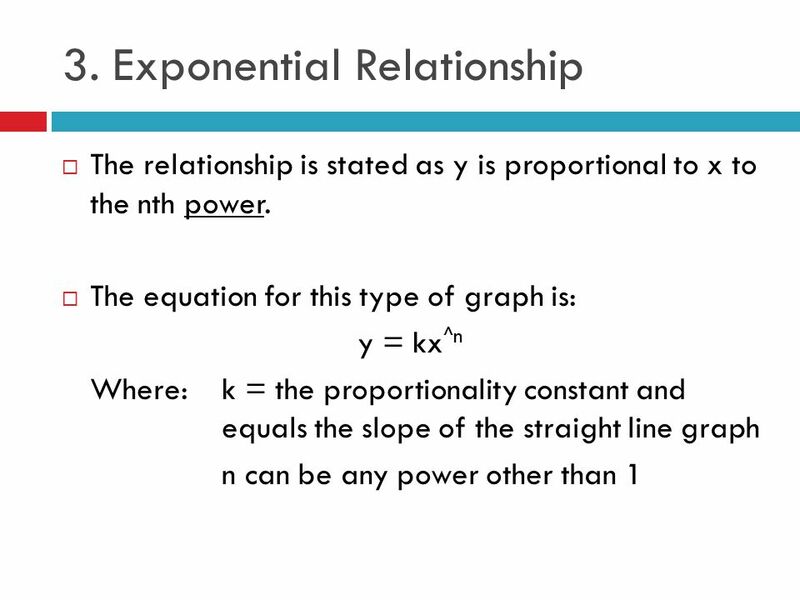 Introduction Tables and graphs can be represented by equations. Data represented in a table can either be analyzed as a pattern, like the data presented. Graphing in Science. 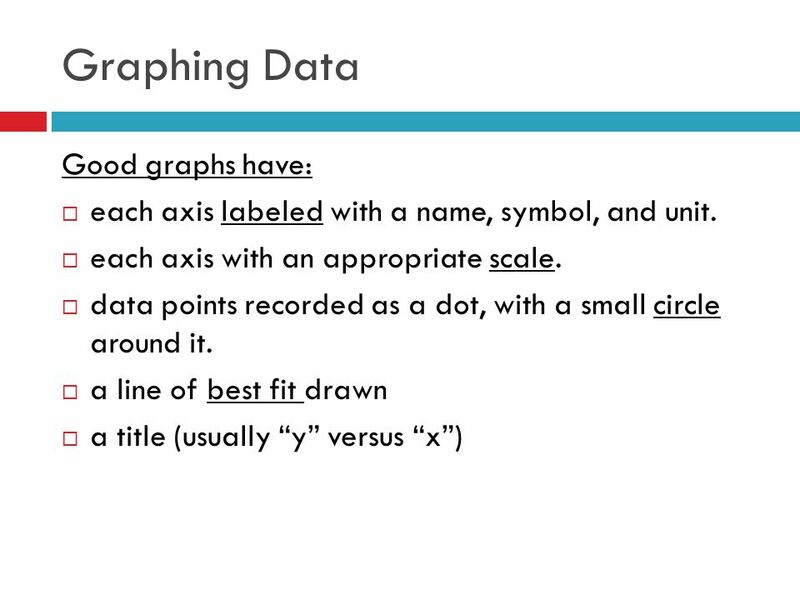 Types of Charts  Most scientific graphs are made as line graphs.  However, occasionally bar graphs, pie charts, or scatter plots. 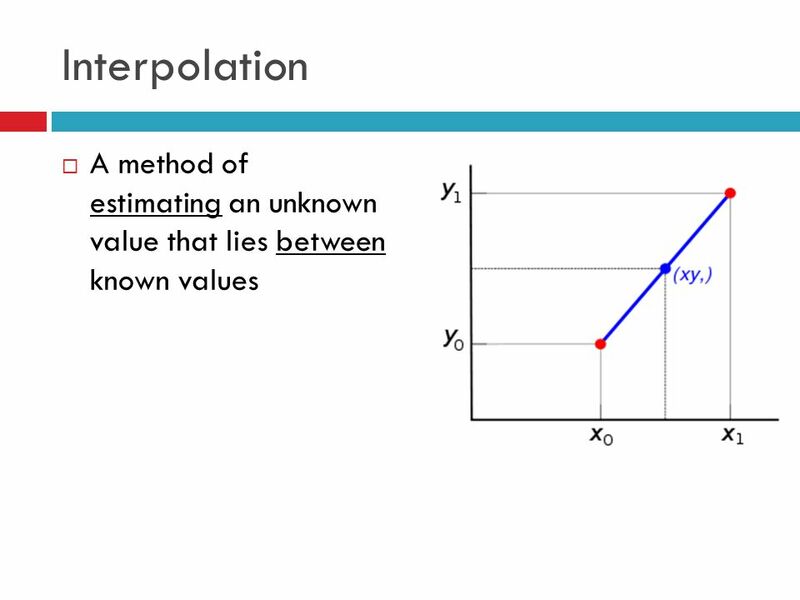 P 251 Laboratory Activity II Graphical Analysis I. 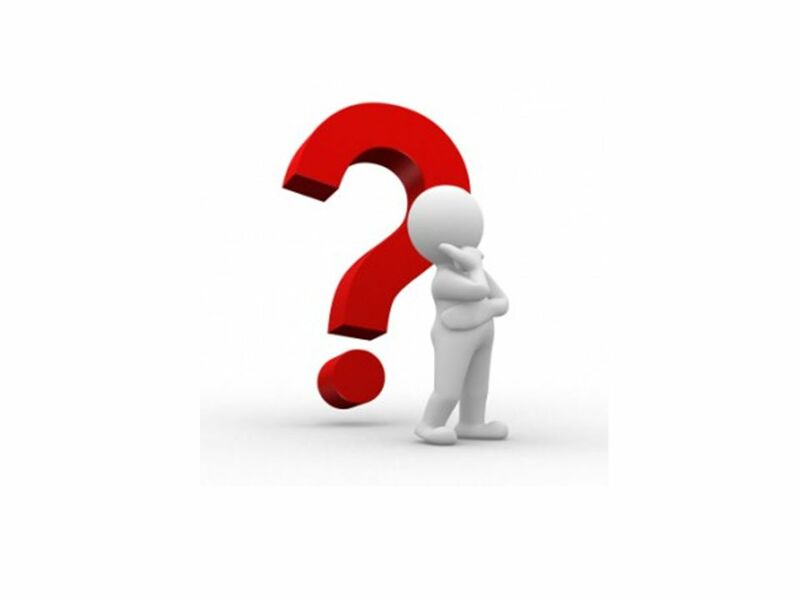 How do scientists show the results of investigations? 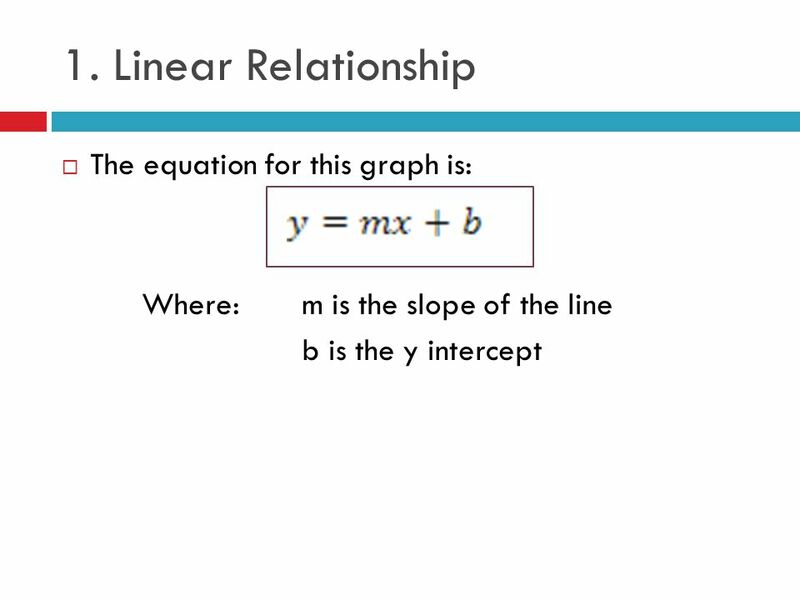 Prior Knowledge Linear and non linear relationships x and y coordinates Linear graphs are straight line graphs Non-linear graphs do not have a straight. Graphing. South Carolina Standards PS-1.5 Organize and interpret the data from a controlled scientific investigation by using mathematics (including formulas. Line Graph Rules. 1. 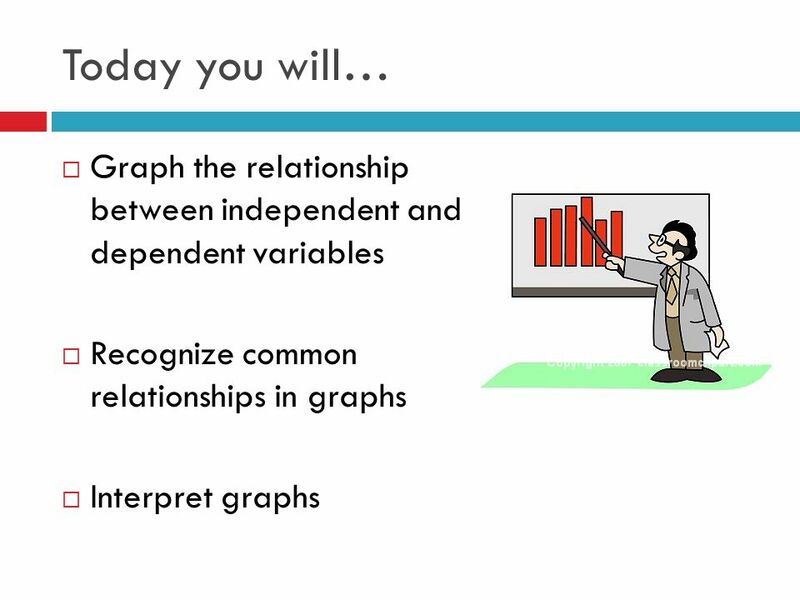 Give your graph a title of “dependent variable” versus “independent variable”. This goes neatly at the top and middle of the graph.